İÇKALE Group, founded by the deceased Mr. Mehmet İÇKALE, started its business life as a general building construction company but progressed soon to be one of the leading civil construction companies in Turkey. İÇKALE Group, has continuously grown and gained a vast experience in construction industry as an individual contractor since 1971. 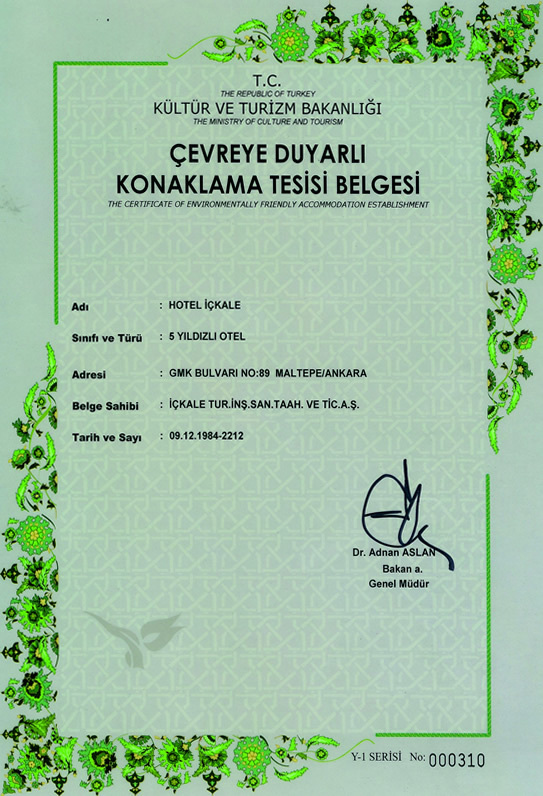 İÇKALE Tourism, Construction, Industry, Obligation and Trade Incorporated Company was founded in 1985. Openings of two hotels reflect the future achievements of the group in the field of tourism and hotel management. HOTEL İÇKALE in Ankara, constructed and managed by İÇKALE Group, is a 4 star hotel having a capacity of 260 beds and opened its doors in 1989. 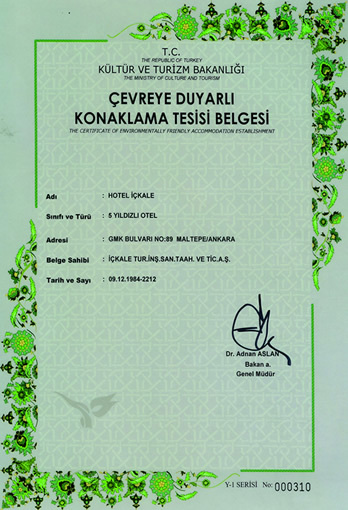 In 2011 HOTEL İÇKALE, combining a quarter century of experience and quality, has received its 5. star after renovation. The second hotel of the group in Belek / Antalya, again constructed and managed by İÇKALE Group, is 5 star Spice Hotel&Spa which is constructed on 90 hectare area, having a bed capacity of 1200 and started to accept its guests in June 2007.